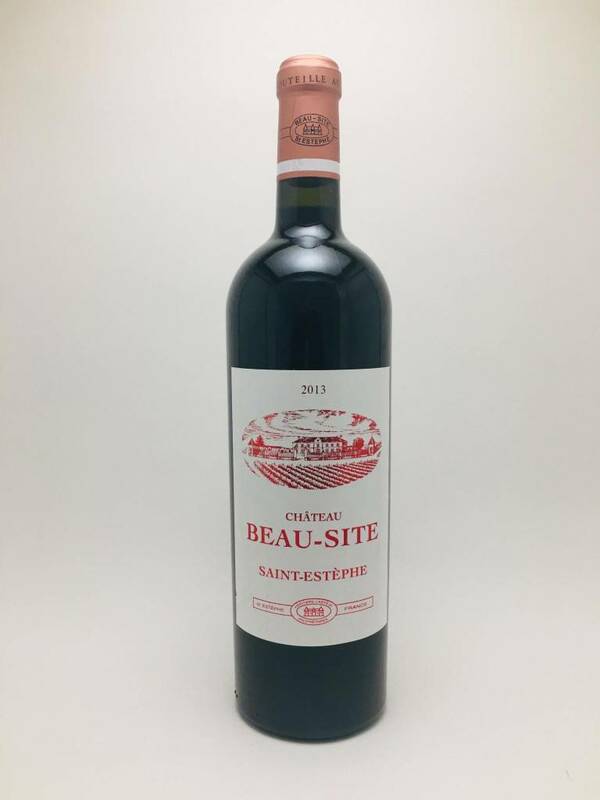 Château Beau-Site, Saint-Estèphe Cru Bourgeois (2013) - City Vino, Inc.
70% Cabernet Sauvignon and 30% Merlot. Dark garnet red with brown edge. A lite nose. Very dark cherries and hints of tobacco. Silky smooth, mature dark fruit, and deep cocoa. Medium body with soft tannins, well balanced with smooth, sweet dark fading fruits with earthy cocoa finish.